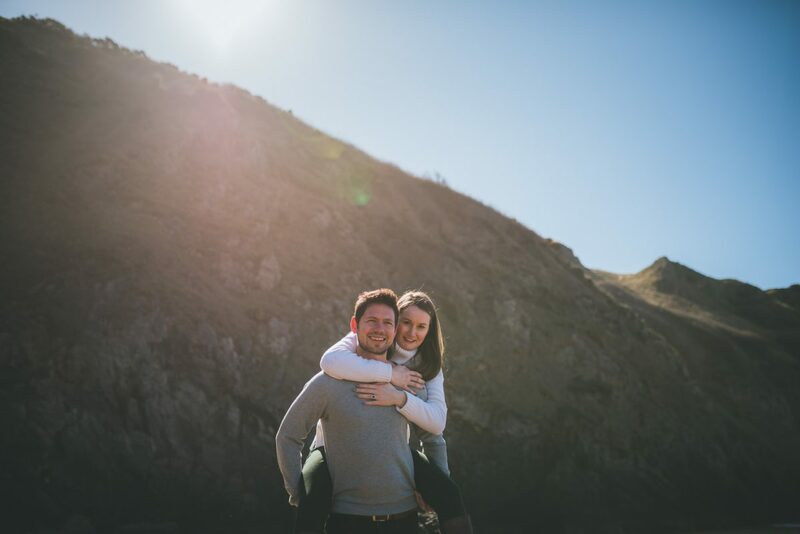 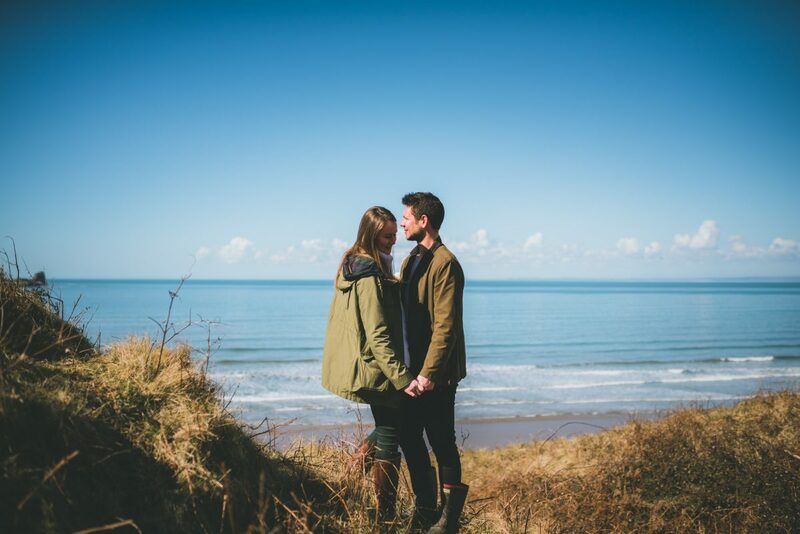 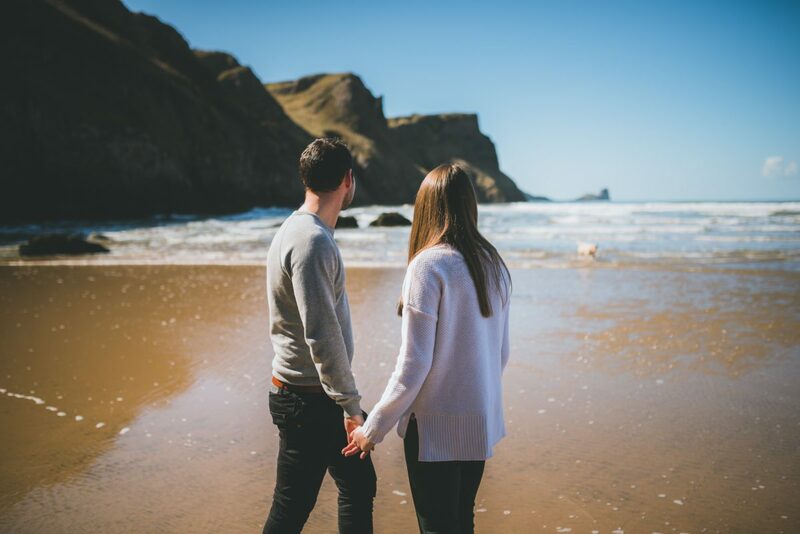 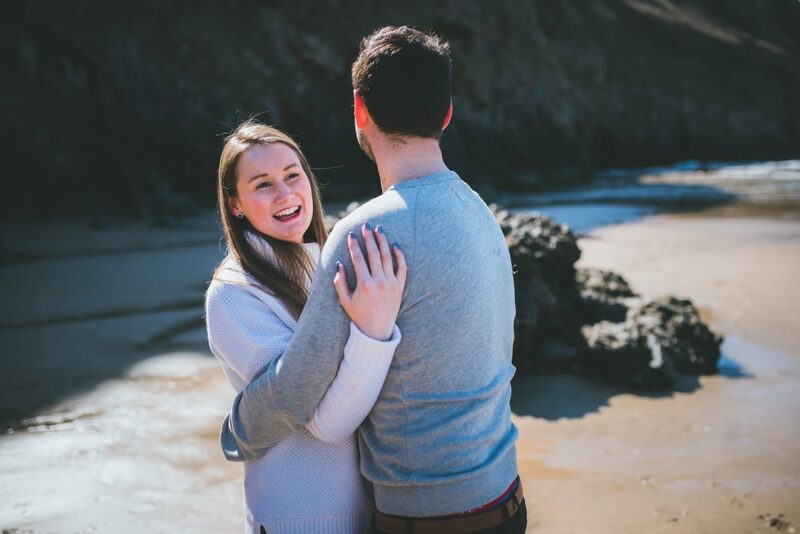 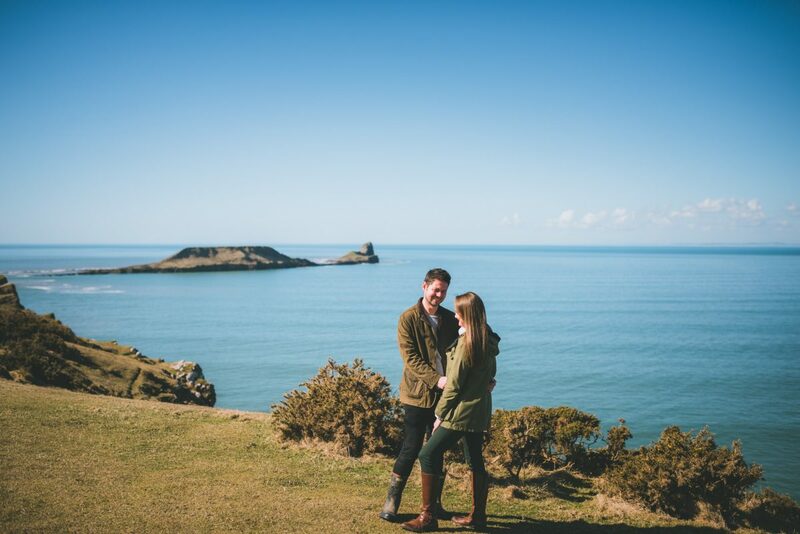 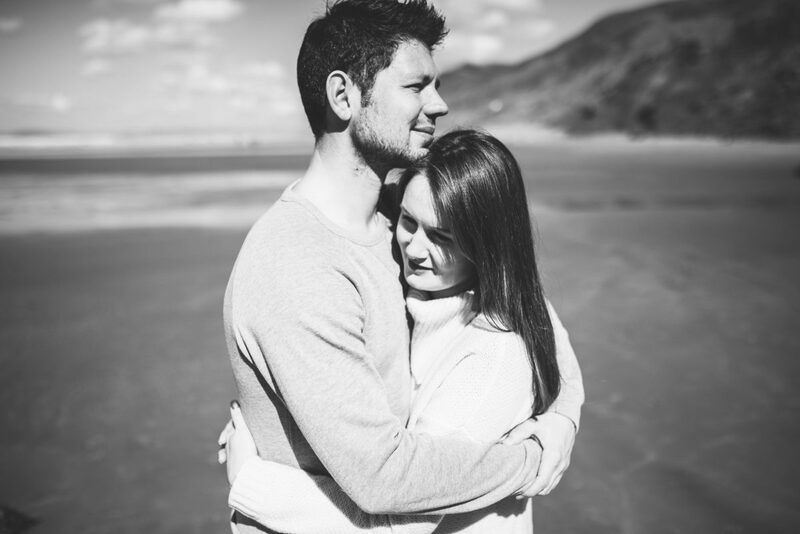 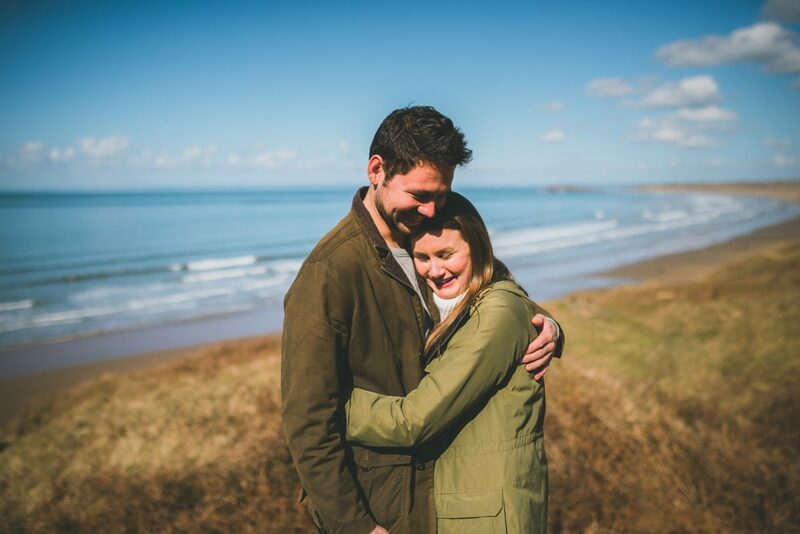 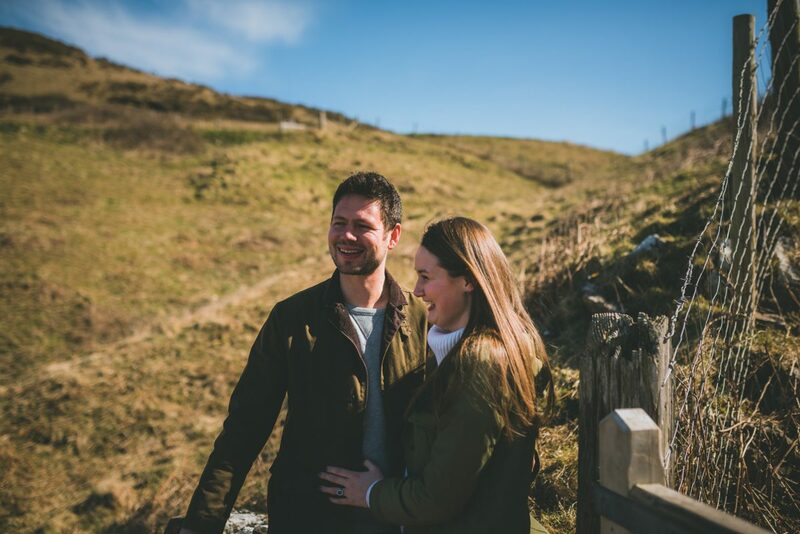 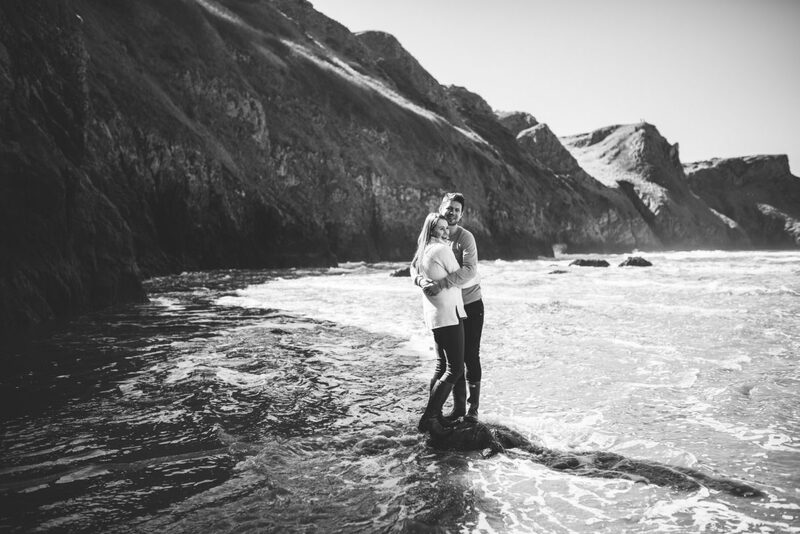 Liz had her Birthday last week and received the gift of a Gower pre-wedding photo session for her and her fiancé Gareth. 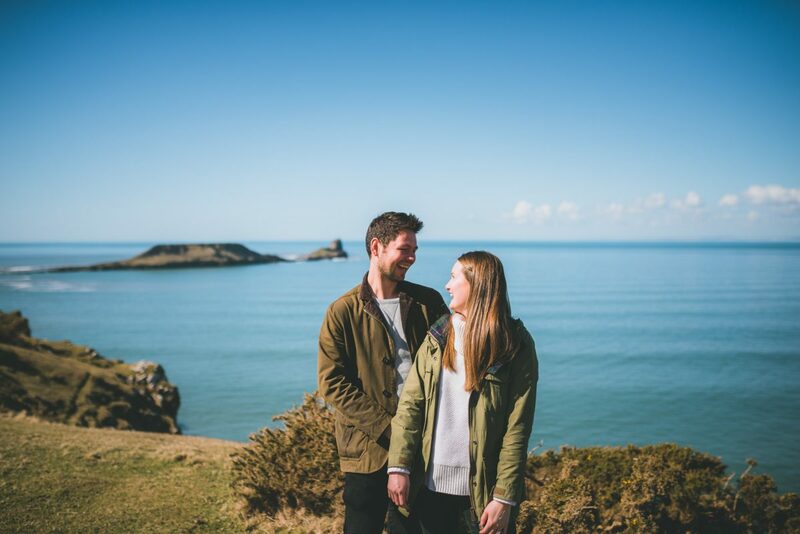 Their wedding in July, set in their garden at home close to Swansea which was sounding pretty amazing the more they explained. 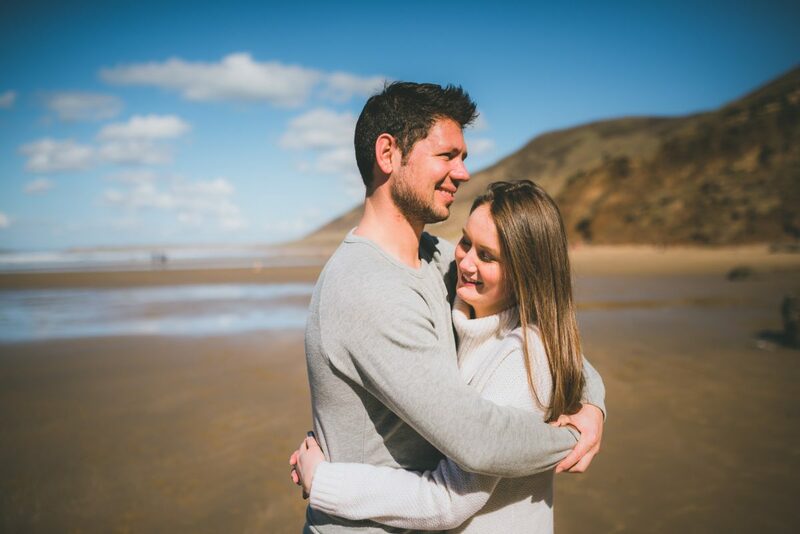 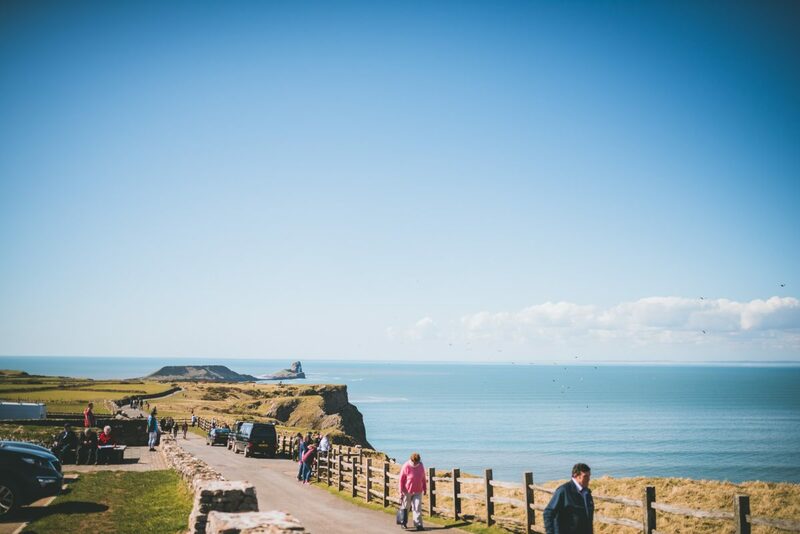 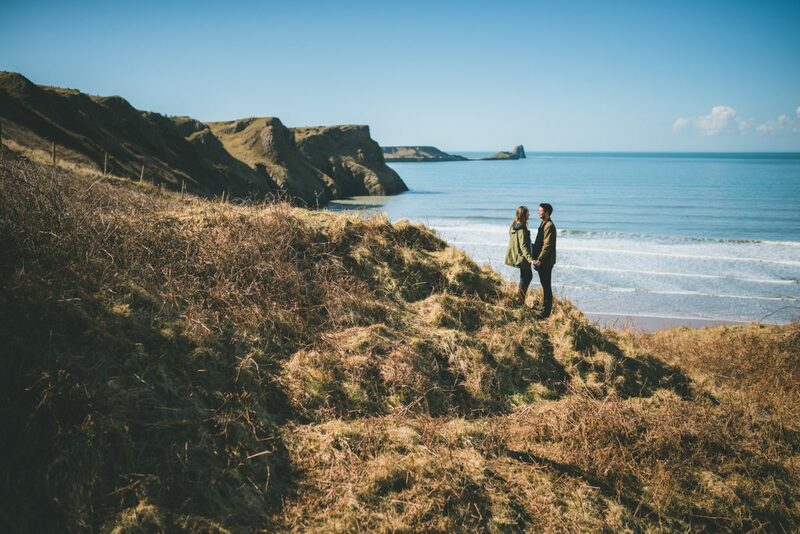 We arranged for the pre-wedding session to be held at Rhossili, Gower which is a pretty epic location. 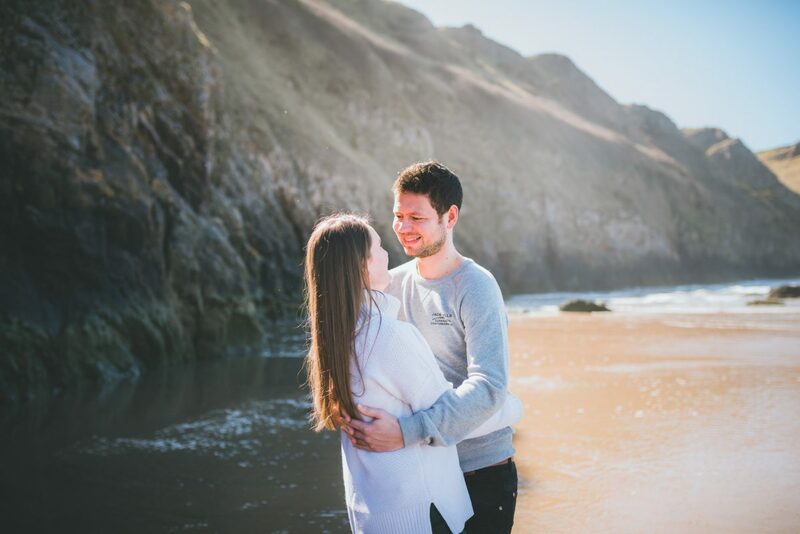 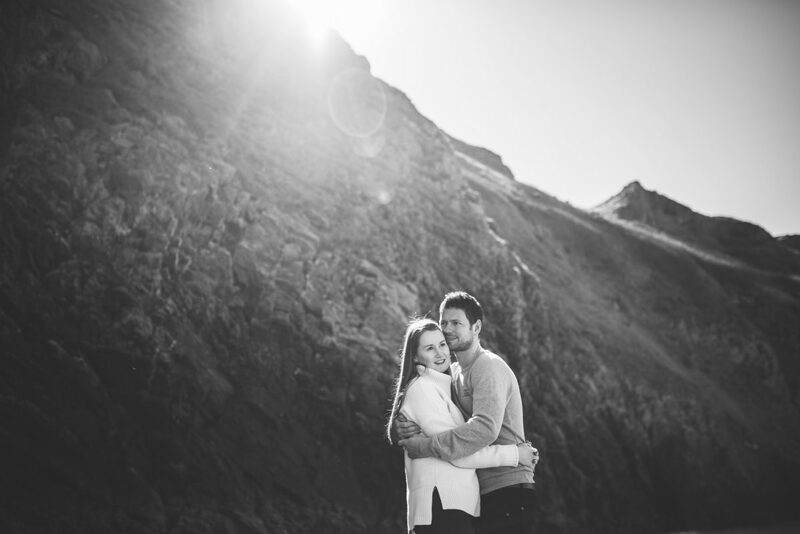 Liz had seen Amy & Gareth’s engagement shoot on the blog there and decided it was the best location! 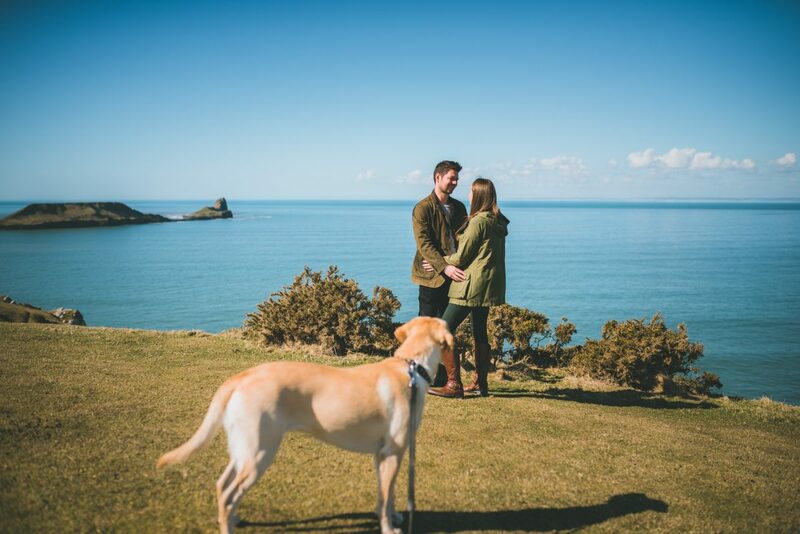 They brought their Labrador Bella too who was a little over 1. 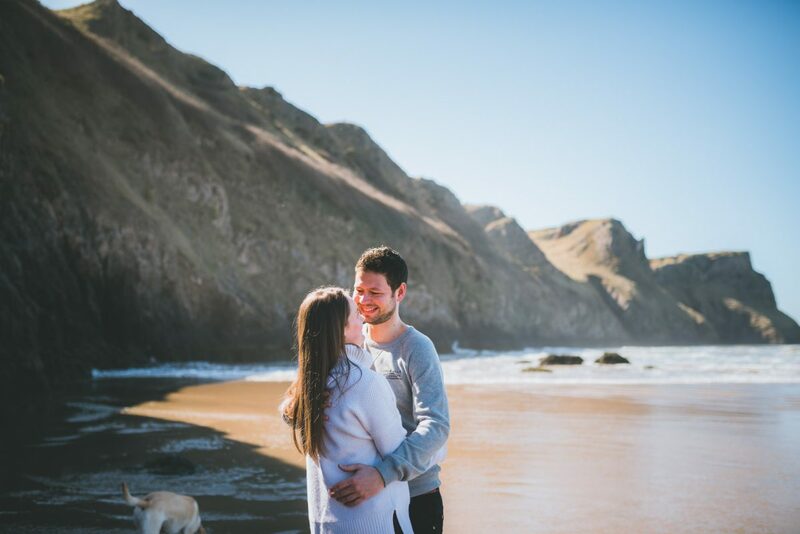 She was great, i’m a huge fan of dogs and so I happily contributed throwing the ball, walking her and holding her as Liz & Gareth got a little close for their photography session. 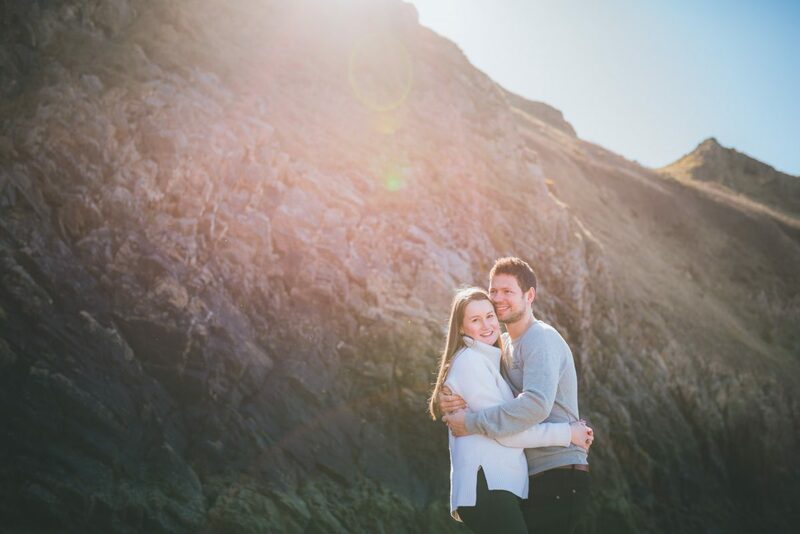 Although a little sunny casting harsh light, I used the lens flare to create some unique styles. 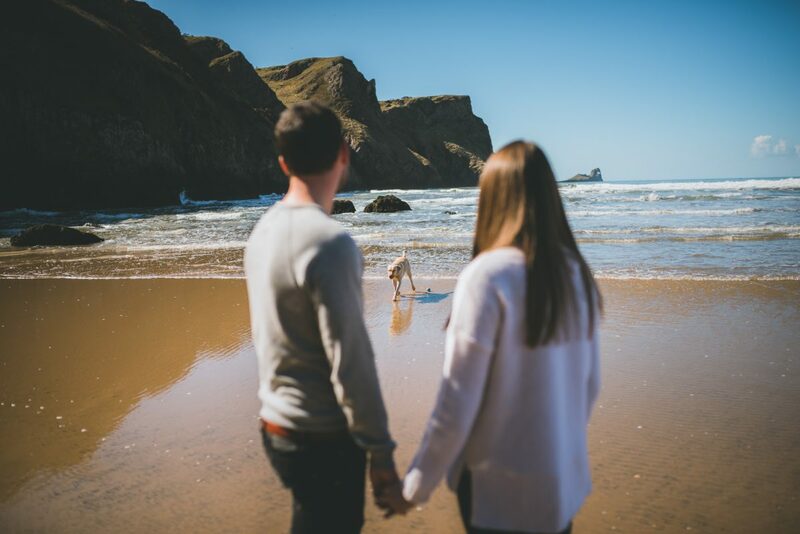 We headed down towards the beach and played with the shadows cast by the towering cliffs. 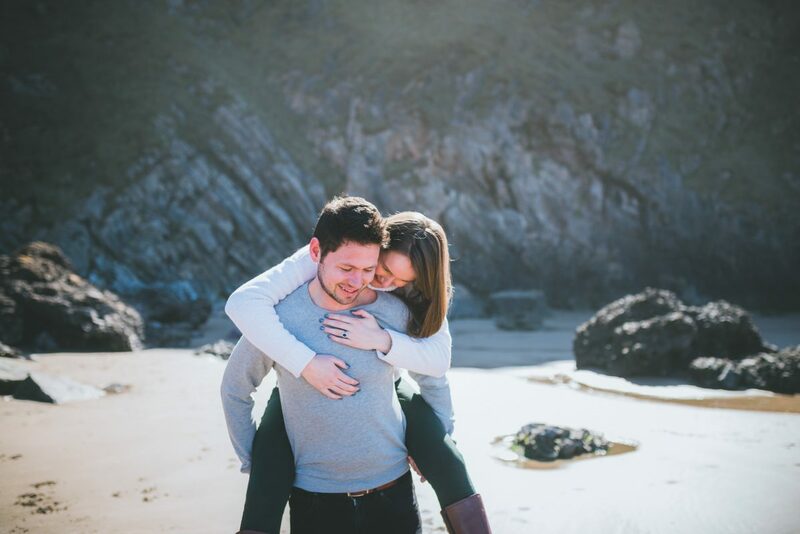 That being said, I had Liz & Gareth stand on a little rock in the sand… Yeah, the tide came in and I ran to safety! 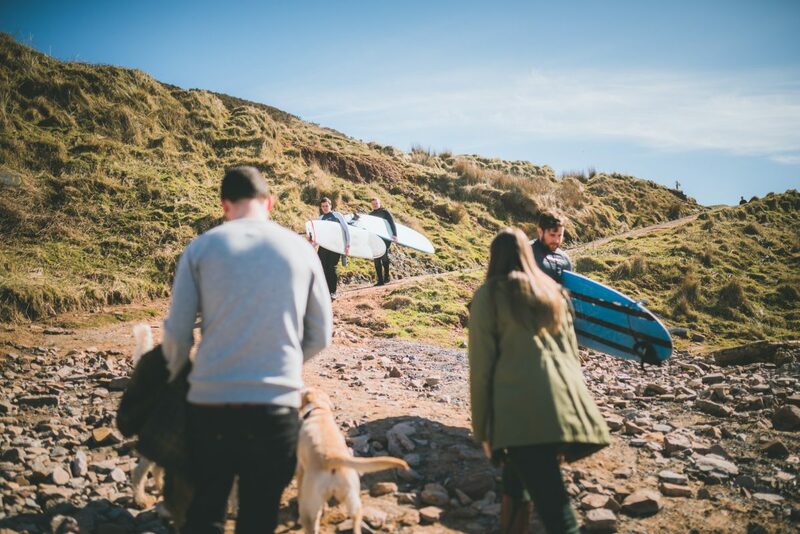 Thankfully the tide receded and they were able to walk away safely. 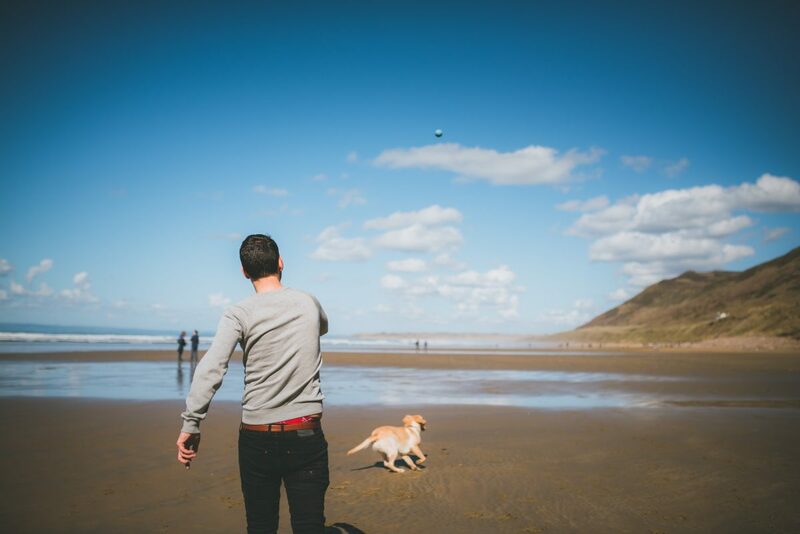 phewww!